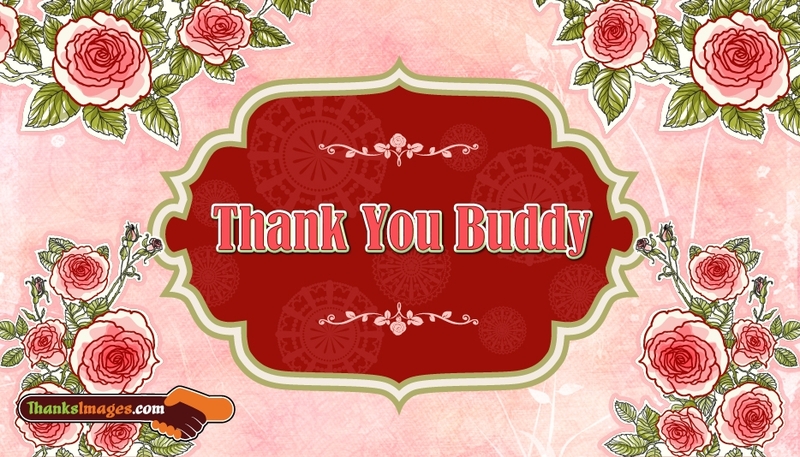 A cute, floral patterned "Thank You Buddy" image to show your token of respect for your best friend for his/her support in achieving your dreams. A good friend is a blessing for lifetime. They can embark our life in new path with their embracing words and support. You can free share this thank you image in your FB pages and Whatsapp chat at no cost.